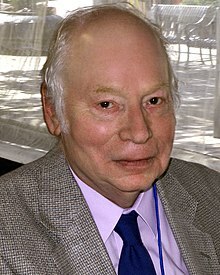 Steven Weinberg ForMemRS ( /ˈwaɪnbɜːrɡ/ ; born May 3, 1933) is an American theoretical physicist and Nobel laureate in Physics for his contributions with Abdus Salam and Sheldon Glashow to the unification of the weak force and electromagnetic interaction between elementary particles. Physical cosmology is a branch of cosmology concerned with the studies of the largest-scale structures and dynamics of the Universe and with fundamental questions about its origin, structure, evolution, and ultimate fate. Cosmology as a science originated with the Copernican principle, which implies that celestial bodies obey identical physical laws to those on Earth, and Newtonian mechanics, which first allowed us to understand those physical laws. Physical cosmology, as it is now understood, began with the development in 1915 of Albert Einstein's general theory of relativity, followed by major observational discoveries in the 1920s: first, Edwin Hubble discovered that the universe contains a huge number of external galaxies beyond our own Milky Way; then, work by Vesto Slipher and others showed that the universe is expanding. These advances made it possible to speculate about the origin of the universe, and allowed the establishment of the Big Bang Theory, by Georges Lemaître, as the leading cosmological model. 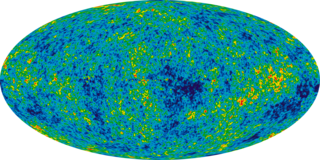 A few researchers still advocate a handful of alternative cosmologies; however, most cosmologists agree that the Big Bang theory explains the observations better. The New York Review of Books is a semi-monthly magazine with articles on literature, culture, economics, science and current affairs. Published in New York City, it is inspired by the idea that the discussion of important books is an indispensable literary activity. Esquire called it "the premier literary-intellectual magazine in the English language." In 1970 writer Tom Wolfe described it as "the chief theoretical organ of Radical chic". Steven Weinberg was born in 1933 in New York City. His parents were Jewish  immigrants. He graduated from Bronx High School of Science in 1950. 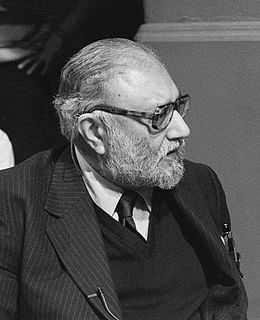 He was in the same graduating class as Sheldon Glashow, whose own research, independent of Weinberg's, would result in their (and Abdus Salam) sharing the 1979 Nobel in Physics (see below). The Bronx High School of Science is a public magnet, specialized high school in Bronx, New York, United States. It is operated by the New York City Department of Education. Sheldon Lee Glashow is a Nobel Prize winning American theoretical physicist. He is the Metcalf Professor of Mathematics and Physics at Boston University and Eugene Higgins Professor of Physics, Emeritus, at Harvard University, and is a member of the Board of Sponsors for the Bulletin of the Atomic Scientists. The Niels Bohr Institute is a research institute of the University of Copenhagen. The research of the institute spans astronomy, geophysics, nanotechnology, particle physics, quantum mechanics and biophysics. 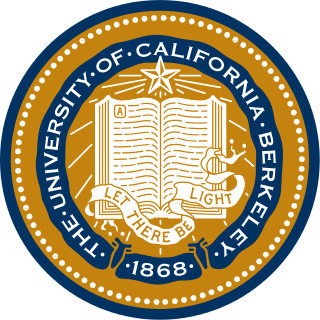 After completing his PhD, Weinberg worked as a postdoctoral researcher at Columbia University (1957–1959) and University of California, Berkeley (1959) and then he was promoted to faculty at Berkeley (1960–1966). He did research in a variety of topics of particle physics, such as the high energy behavior of quantum field theory, symmetry breaking,  pion scattering, infrared photons and quantum gravity. It was also during this time that he developed the approach to quantum field theory that is described in the first chapters of his book The Quantum Theory of Fields  and started to write his textbook Gravitation and Cosmology. Both textbooks are among the most influential texts in the scientific community in their subjects. A postdoctoral researcher or postdoc is a person professionally conducting research after the completion of their doctoral studies. The ultimate goal of a postdoctoral research position is to pursue additional research, training, or teaching in order to have better skills to pursue a career in academia, research, or any other fields. Postdocs often, but not always, have a temporary academic appointment, sometimes in preparation for an academic faculty position. They continue their studies or carry out research and further increase expertise in a specialist subject, including integrating a team and acquiring novel skills and research methods. Postdoctoral research is often considered essential while advancing the scholarly mission of the host institution; it is expected to produce relevant publications in peer-reviewed academic journals or conferences. In some countries, postdoctoral research may lead to further formal qualifications or certification, while in other countries it does not. In the years after 1967, the full Standard Model of elementary particle theory was developed through the work of many contributors. In it, the weak and electromagnetic interactions already unified by the work of Weinberg, Abdus Salam and Sheldon Glashow, are made consistent with a theory of the strong interactions between quarks, in one overarching theory. In 1973 Weinberg proposed a modification of the Standard Model which did not contain that model's fundamental Higgs boson. Weinberg became Eugene Higgins Professor of Physics at Harvard University in 1973. In 1979 he pioneered the modern view on the renormalization aspect of quantum field theory that considers all quantum field theories as effective field theories and changed the viewpoint of previous work (including his own in his 1967 paper) that a sensible quantum field theory must be renormalizable. This approach allowed the development of effective theory of quantum gravity,  low energy QCD, heavy quark effective field theory and other developments, and it is a topic of considerable interest in current research. In 1979, some six years after the experimental discovery of the neutral currents – i.e. the discovery of the inferred existence of the Z boson – but following the 1978 experimental discovery of the theory's predicted amount of parity violation due to Z bosons' mixing with electromagnetic interactions, Weinberg was awarded the Nobel Prize in Physics, together with Sheldon Glashow, and Abdus Salam who had independently proposed a theory of electroweak unification based on spontaneous symmetry breaking. 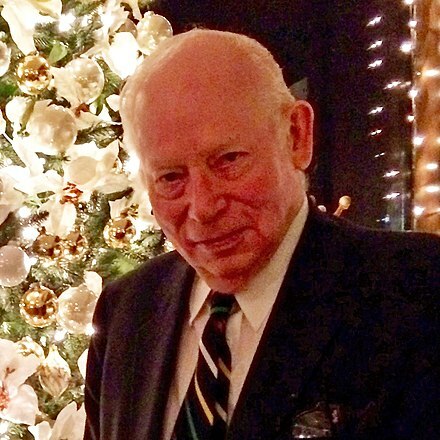 Besides his scientific research, Steven Weinberg has been a prominent public spokesman for science, testifying before Congress in support of the Superconducting Super Collider, writing articles for the New York Review of Books ,  and giving various lectures on the larger meaning of science. His books on science written for the public combine the typical scientific popularization with what is traditionally considered history and philosophy of science and atheism. Queen Beatrix meets Nobel laureates in 1983. Weinberg is on the queen's right. Honorary Doctor of Science degrees from eleven institutions: University of Chicago, Knox College, University of Rochester, Yale University, City University of New York, Dartmouth College, Weizmann Institute, Clark University, Washington College, Columbia University, Bates College. Weinberg, S (1967). "A Model of Leptons" (PDF). Phys. Rev. Lett. 19: 1264–1266. Bibcode:1967PhRvL..19.1264W. doi:10.1103/PhysRevLett.19.1264. Archived from the original (PDF) on 2012-01-12. Weinberg, S (2010). "Pions in Large N Quantum Chromodynamics". Phys. Rev. Lett. 105: 261601. arXiv: 1009.1537 . Bibcode:2010PhRvL.105z1601W. doi:10.1103/PhysRevLett.105.261601. PMID 21231642. Weinberg, S (2012). "Collapse of the State Vector". Phys. Rev. A. 85: 062116. arXiv: 1109.6462 . Bibcode:2012PhRvA..85f2116W. doi:10.1103/physreva.85.062116. A Designer Universe?, a refutation of attacks on the theories of evolution and cosmology (e.g., those conducted under the rubric of intelligent design) is based on a talk given in April 1999 at the Conference on Cosmic Design of the American Association for the Advancement of Science in Washington, D.C. This and other works express Weinberg's strongly held position that scientists should be less passive in defending science against anti-science religiosity. Beautiful Theories, an article reprinted from Dreams of a Final Theory by Steven Weinberg in 1992 which focuses on the nature of beauty in physical theories. The Crisis of Big Science, May 10, 2012, New York Review of Books . Weinberg places the cancellation of the Superconducting Super Collider in the context of a bigger national and global socio-economic crisis, including a general crisis in funding for science research and for the provision of adequate education, healthcare, transportation and communication infrastructure, and criminal justice and law enforcement. 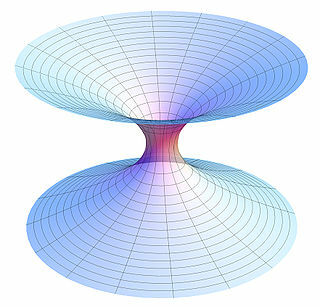 In mathematics and physics, a scalar field associates a scalar value to every point in a space – possibly physical space. The scalar may either be a (dimensionless) mathematical number or a physical quantity. In a physical context, scalar fields are required to be independent of the choice of reference frame, meaning that any two observers using the same units will agree on the value of the scalar field at the same absolute point in space regardless of their respective points of origin. Examples used in physics include the temperature distribution throughout space, the pressure distribution in a fluid, and spin-zero quantum fields, such as the Higgs field. These fields are the subject of scalar field theory. Julian Seymour Schwinger was a Nobel Prize winning American theoretical physicist. He is best known for his work on the theory of quantum electrodynamics (QED), in particular for developing a relativistically invariant perturbation theory, and for renormalizing QED to one loop order. Schwinger was a physics professor at several universities. Frank Anthony Wilczek is an American theoretical physicist, mathematician and a Nobel laureate. He is currently the Herman Feshbach Professor of Physics at the Massachusetts Institute of Technology (MIT), Founding Director of T. D. Lee Institute and Chief Scientist Wilczek Quantum Center, Shanghai Jiao Tong University (SJTU), Distinguished Origins Professor at Arizona State University (ASU) and full Professor at Stockholm University. The Alternative models to the Standard Higgs Model are models which are considered by many particle physicists to solve some of the Higgs boson's existing problems. Two of the most currently researched models are quantum triviality, and Higgs hierarchy problem. In particle physics, the history of quantum field theory starts with its creation by Paul Dirac, when he attempted to quantize the electromagnetic field in the late 1920s. 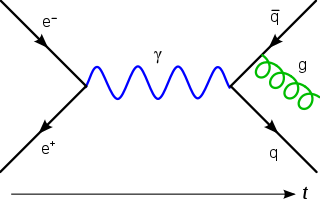 Major advances in the theory were made in the 1940s and 1950s, and led to the introduction of renormalized quantum electrodynamics (QED). QED was so successful and accurately predictive that efforts were made to apply the same basic concepts for the other forces of nature. 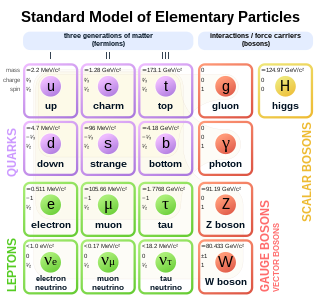 By the late 1970s, these efforts successfully utilized gauge theory in the strong nuclear force and weak nuclear force, producing the modern standard model of particle physics. Benjamin Whisoh Lee or Ben Lee, was a Korean-born American theoretical physicist. His work in theoretical particle physics exerted great influence on the development of the standard model in the late 20th century, especially on the renormalization of the electro-weak model and gauge theory. Erick J. Weinberg is a theoretical physicist and professor of physics at Columbia University. In theoretical physics, the unitarity gauge or unitary gauge is a particular choice of a gauge fixing in a gauge theory with a spontaneous symmetry breaking. In this gauge, the scalar fields responsible for the Higgs mechanism are transformed into a basis in which their Goldstone boson components are set to zero. In other words, the unitarity gauge makes the manifest number of scalar degrees of freedom minimal. Christopher T. Hill is an American theoretical physicist at the Fermi National Accelerator Laboratory who did undergraduate work in physics at M.I.T., and graduate work at Caltech. Hill's Ph.D. thesis, "Higgs Scalars and the Nonleptonic Weak Interactions" (1977) contains the first detailed discussion of the two-Higgs-doublet model. In astronomy and cosmology, light dark matter are dark matter weakly interacting massive particles (WIMPS) candidates with masses less than 1 GeV. These particles are heavier than warm dark matter and hot dark matter, but are lighter than the traditional forms of cold dark matter. The Lee-Weinberg bound limits the mass of the favored dark matter candidate, WIMPs, that interact via the weak interaction to GeV. This bound arises as follows. The lower the mass of WIMPs is, the lower the annihilation cross section, which is of the order , where m is the WIMP mass and M the mass of the Z-boson. This means that low mass WIMPs, which would be abundantly produced in the early universe, freeze out much earlier and thus at a higher temperature, than higher mass WIMPs. This leads to a higher relic WIMP density. If the mass is lower than GeV the WIMP relic density would overclose the universe. Kim Jihn-eui is a South Korean theoretical physicist. 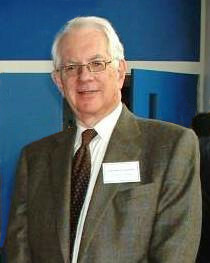 His research interests concentrate on particle physics and cosmology and has many contributions to the field, most notably the suggestion of the invisible axion. Abraham Klein was an American theoretical physicist. Klein studied at Brooklyn College and at Harvard University, where he earned his master's degree in 1948 and doctorate in 1950 under Julian Schwinger. In 1955 he became associate professor at the University of Pennsylvania, where he received a full professorship in 1958 and retired in 1994. In theoretical physics, a mass generation mechanism is a theory that describes the origin of mass from the most fundamental laws of physics. Physicists have proposed a number of models that advocate different views of the origin of mass. The problem is complicated because the primary role of mass is to mediate gravitational interaction between bodies, and no theory of gravitational interaction reconciles with the currently popular Standard Model of particle physics. 1 2 "Professor Steven Weinberg ForMemRS". London: Royal Society. Archived from the original on 2015-11-12. 1 2 "Fellowship of the Royal Society 1660-2015". London: Royal Society. Archived from the original on July 15, 2015. ↑ "American Institute of Physics". ↑ Leslie, J, "Never-ending universe", a review in the Times Literary Supplement of Weinberg's 2015 book To explain the World. ↑ "Three Scientists Win Nobel Prize". jta.org. ↑ "Muster Mark's Quarks". Archived from the original on July 25, 2014. 1 2 3 "Steven Weinberg – Biographical". nobelprize.org. Retrieved 25 January 2016. ↑ "From BCS to the LHC - CERN Courier". ↑ A partial list of this work is: Weinberg, S. (1960). "High-Energy Behavior in Quantum Field Theory". Phys. Rev. 118 (3): 838–849. Bibcode:1960PhRv..118..838W. doi:10.1103/PhysRev.118.838. ; Weinberg, S.; Salam, Abdus; Weinberg, Steven (1962). "Broken Symmetries". Phys. Rev. 127 (3): 965–970. Bibcode:1962PhRv..127..965G. doi:10.1103/PhysRev.127.965. ; Weinberg, S. (1966). "Pion Scattering Lengths". Phys. Rev. Lett. 17 (11): 616–621. Bibcode:1966PhRvL..17..616W. doi:10.1103/PhysRevLett.17.616. ; Weinberg, S. (1965). "Infrared Photons and Gravitons". Phys. Rev. 140 (2B): B516–B524. Bibcode:1965PhRv..140..516W. doi:10.1103/PhysRev.140.B516. ↑ Weinberg, S. (1964). "Feynman Rules for Any spin". Phys. Rev. 133 (5B): B1318–B1332. Bibcode:1964PhRv..133.1318W. doi:10.1103/PhysRev.133.B1318. ; Weinberg, S. (1964). "Feynman Rules for Any spin. II. Massless Particles". Phys. Rev. 134 (4B): B882–B896. Bibcode:1964PhRv..134..882W. doi:10.1103/PhysRev.134.B882. ; Weinberg, S. (1969). "Feynman Rules for Any spin. III". Phys. Rev. 181 (5): 1893–1899. Bibcode:1969PhRv..181.1893W. doi:10.1103/PhysRev.181.1893. ↑ Weinberg, S. (1967). "A Model of Leptons" (PDF). Phys. Rev. Lett. 19 (21): 1264–1266. Bibcode:1967PhRvL..19.1264W. doi:10.1103/PhysRevLett.19.1264. Archived from the original (PDF) on 2012-01-12. ↑ Haidt, D. (2004). "The discovery of the weak neutral currents". CERN Courier. ↑ Weinberg, S. (1979). "Phenomenological Lagrangians". Physica. 96: 327. Bibcode:1979PhyA...96..327W. doi:10.1016/0378-4371(79)90223-1. ↑ Donoghue, J. F. (1994). "General relativity as an effective field theory: The leading quantum corrections". Phys. Rev. D. 50 (6): 3874. arXiv: gr-qc/9405057 . Bibcode:1994PhRvD..50.3874D. doi:10.1103/PhysRevD.50.3874. ↑ Weinberg, S. (1976). "Implications of dynamical symmetry breaking". Phys. Rev. D. 13 (4): 974–996. Bibcode:1976PhRvD..13..974W. doi:10.1103/PhysRevD.13.974. ↑ In 2006 Weinberg had the second highest creativity index among physicists World's most creative physicist revealed. physicsworld.com (June 17, 2006). 1 2 Weinberg, Steven (2015). "Eye on the Present—The Whig History of Science". The New York Review of Books. 62 (20): 82, 84. Retrieved 9 February 2016. ↑ Shapin, Stephen (13 February 2015). "Why Scientists Shouldn't Write History". wsj.com. Retrieved 11 February 2016. ↑ Bouterse, Jeroen (31 May 2015). "Weinberg, Whiggism, and the World in History of Science". Shells and Pebbles. Retrieved 11 February 2016. ↑ Silverstein, Arthur; Weinberg, Steven (2016). "The Whig History of Science: An Exchange". The New York Review of Books. 63 (3). Retrieved 11 February 2016. ↑ Mekelburg, Madlin (26 January 2016). "Nobel Laureate Becomes Reluctant Anti-Gun Leader, by Madlin Mekelburg". The Texas Tribune. Retrieved 9 February 2016. ↑ "Steven Weinberg". The Infidels. Retrieved June 6, 2017. ↑ "Nobel laureate cancels London trip due to anti-Semitism". YNet News Jewish Daily. May 24, 2007. Retrieved 2007-06-01. ↑ Weinberg, Steven (September 25, 2008). "Without God". The New York Review of Books . ↑ Weinberg, Steven. "A Designer Universe?" . Retrieved January 28, 2016. This article is based on a talk given in April 1999 at the Conference on Cosmic Design of the American Association for the Advancement of Science in Washington, D.C. Ibid. footnote 1. ↑ "Weinberg awarded Oppenheimer Prize". Physics Today. American Institute of Physics. 26: 87. March 1973. Bibcode:1973PhT....26c..87.. doi:10.1063/1.3127994 . Retrieved March 1, 2015. ↑ "Benjamin Franklin Medal for Distinguished Achievement in the Sciences Recipients". American Philosophical Society . Retrieved November 26, 2011. ↑ Sethi, Savdeep (2002). "Review: The quantum theory of fields. III Supersymmetry, by Steven Weinberg" (PDF). Bull. Amer. Math. Soc. (N.S.). 39 (3): 433–439. doi:10.1090/s0273-0979-02-00944-8. Wikimedia Commons has media related to Steven Weinberg .